husband and wife team Justina & Trevor Freel. Together they design sophisticated interior and exterior spaces. 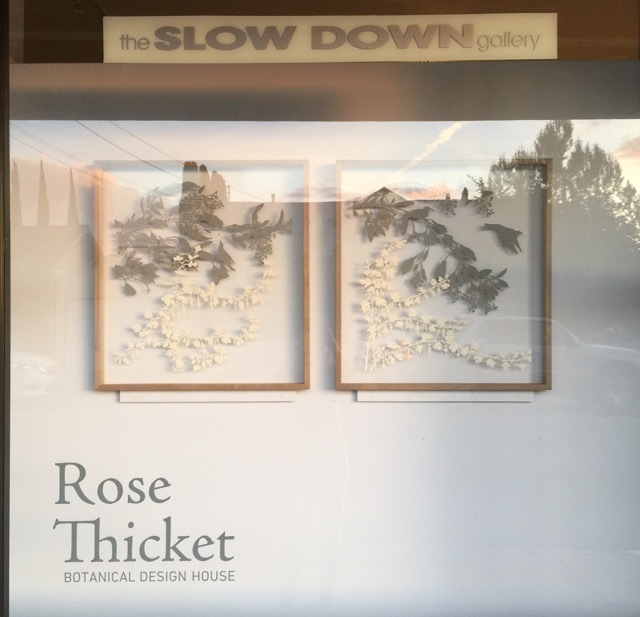 These pieces shown in our window are hand pressed and cut paper silhouettes, mounted to layered glass, separated by 1/2" spacers, framed in bleached walnut box frames.